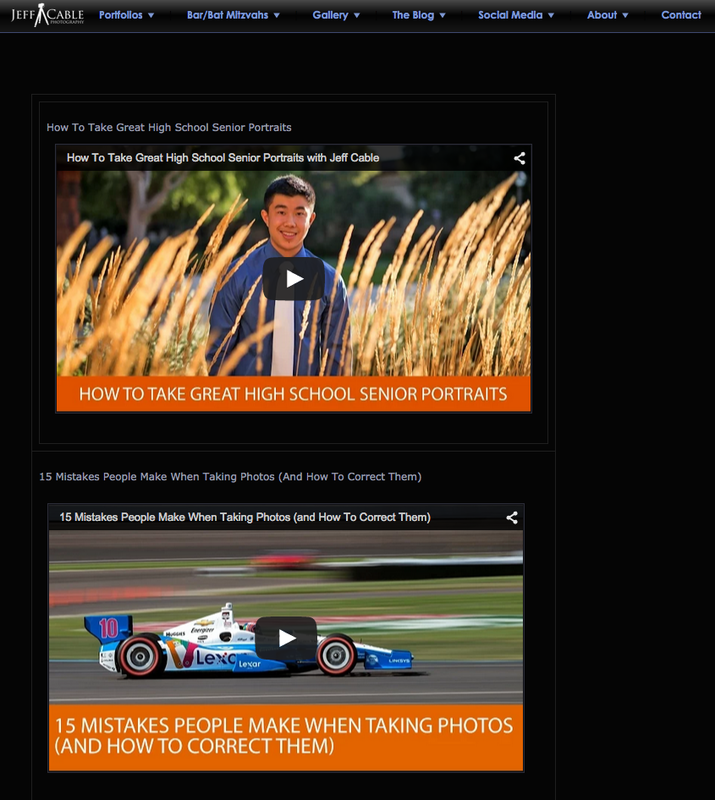 Jeff Cable's Blog: Why do I teach photography online for free? People often ask me why I openly share my photography techniques and why I do not charge for the classes posted online. So I thought that for this weeks blog post, I would tell you all why I do this. 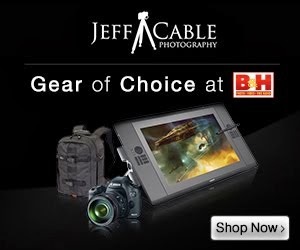 Many of you have seen the videos posted by B&H on their YouTube channel. 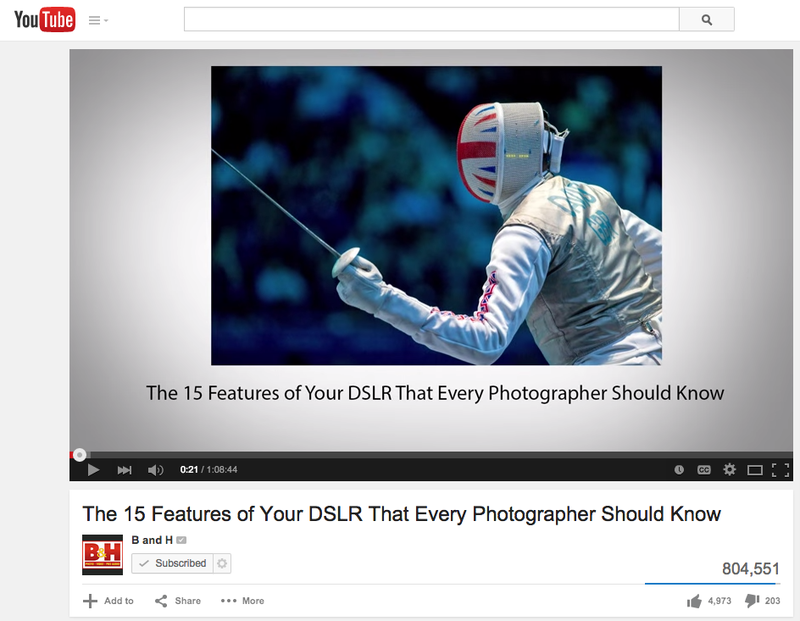 These are free videos where photographers can share their work and help teach others the proper way to take photos. When I first saw their YouTube channel I was blown away. There are so many great photographers on the site, teaching everything from the beginner level photography to the most advanced techniques. All of this is available to the general public, worldwide (except for those countries that block YouTube), and at no charge. Years ago when B&H asked me to record one of these classes, I was both honored and scared. I was excited to be included on the site along with so many other distinguished photographers, but also scared to death that people would look at my photos and my advice and think "this guy doesn't know what the heck he is talking about". But I took a risk and gave it a shot. As my wife said, "Who the heck is going to watch these videos anyways?" Well..you all did. The online classes have more than 2.4 million views. Crazy! And what I got in return was positive feedback from so many people who could relate to my "call it as it is" style and my way of trying to make something difficult in explain it in a simple way. And, this is exactly who I am. I have never been one of those super articulate people who uses big words. I am just a simple guy who loves photography. The massive reach of B&H allows me to share all this passion with the world. And it is so cool to see comments and get feedback from viewers on every continent. Sure, there are secondary benefits for me. Having millions of people watching the videos has helped me gain sponsorships from my favorite companies. And even they appreciate the straight forward communications. I tell them, "if your product is not great, I will say so on the blog". And if you have read any of my recent reviews, you know that I am not afraid to point out the bad with the good on these new products. Heck, many of you who are reading this now, have found the blog from watching the online videos. And this too helps me. The links from this blog refer back to their store and give me a small referral. This helps justify all the time I put into the classes and blogs. Not added cost to all of you, and a small bonus for me. One of the greatest benefits of the everyone watching the videos and following this blog is that I get to "meet" so many of you. Sometimes it is in person, whether it is at one of the trade shows, classes or when people recognize me on the streets, and other times it is through email, Facebook or Instagram. I love that when I travel to another country, and I post this online, people will reach out and offer to show me around their hometown. I get to meet so many interesting people and share photographic stories. It is really great to hear how people watch the videos and learn from them. I have had countless emails from people telling me that they have been inspired by me. Really, I inspired others around the world??? That is awesome! So...why do I continue to produce these videos with B&H? Because to me sharing the passion is even more important than making money. To all of you who have written to me and given me feedback, I thank you for sharing your stories and for inspiring me to keep doing this. Are there any plans to come back to Australia any time soon? Tod - yes, I do plan on coming back. It could be in Sept of this year or in 2016. Stay tuned. I really miss AU!!!! I am one of those who follow your blog via RSS feed and I learn much from your posts and videos. I am a former educator and I like the fact that whenever I help another person or teach them something, I am touching the future. What we do for ourselves ends when we are no longer here, but what we teach others and what we do for others lives on. Thank you for sharing your skill and your passion! I've watched all your videos, and they've been a tremendous help in moving my photography forward. Thank you, and keep doing what you do! Thank you for all you do, Jeff! Your work is absolutely beautiful and you are so inspiring!I appreciate your willingness to share your immense knowledge with all of us! You really are a nice guy, I am glad people like you still out there to help others. I am not a professional photographer, but on my job, I just help everybody i can just because I like to do so. Please, keep doing what you do, it always will be very appreciated. Do you have any plan to come back to B&H in NY soon ? rcortinas - I will be at B&H in a little over a week. May 7th. Come join us!